Fort Collins, Colorado, USA: We made our way up from Moab through Steamboat Springs, CO and on to Fort Collins where my brother, sister-in-law, niece and nephew live. The weather was perfect for a hike up Horsetooth Mountain with the entire family (and their very adept trail dog, Carmella). Elijah (9 years old) & Evalina (6 years old) seem to have been born wearing hiking boots and with endless amounts of energy because even as the adults had to stop to adjust to the altitude (7,225 ft at the peak), those two ran ahead. The view at the top was stunning. Yet another moment of peace & awe we discovered on this beautiful trip. Moab, Utah, USA: On this trip, we’ve been doing lots of wondering about early settlers and how they’d managed given their limited resources. We’d say to each other, ‘Can you imagine being in a Conestoga wagon, making your way across the vast expanse of the plains and then happen up something like THIS?’ Pioneers in search of a better life (or perhaps it was gold) risked everything to head west nearly 200 years ago. It’s tough to imagine what that might have been like. 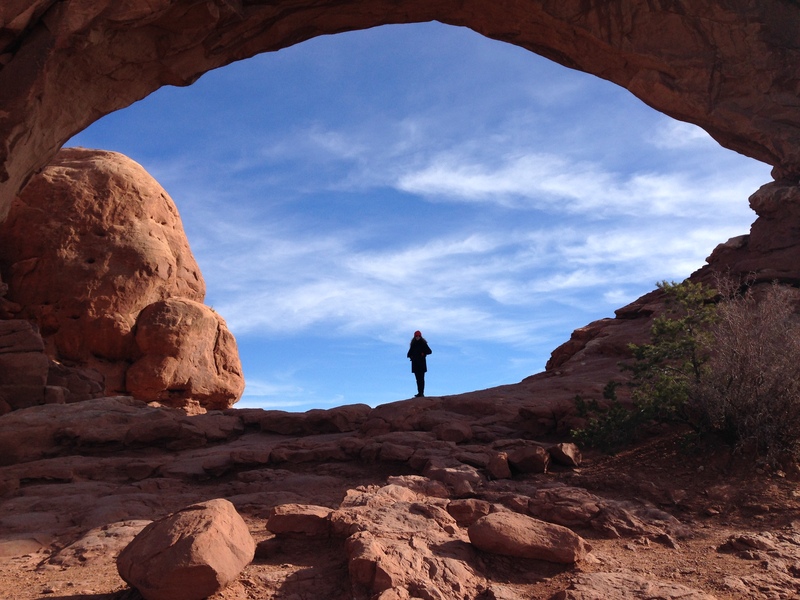 And then one visits a place like Arches National Park in Utah, and sees the natural formations from 150 million years ago. Forget the Westward Expansion 200 years ago. To be in the shadows of something like this really puts time in perspective. It’s almost beyond comprehension. Thomas & I were like kids, full of wonder and awe. In addition to our complete incredulity of its origin, we were overwhelmed by its scale. 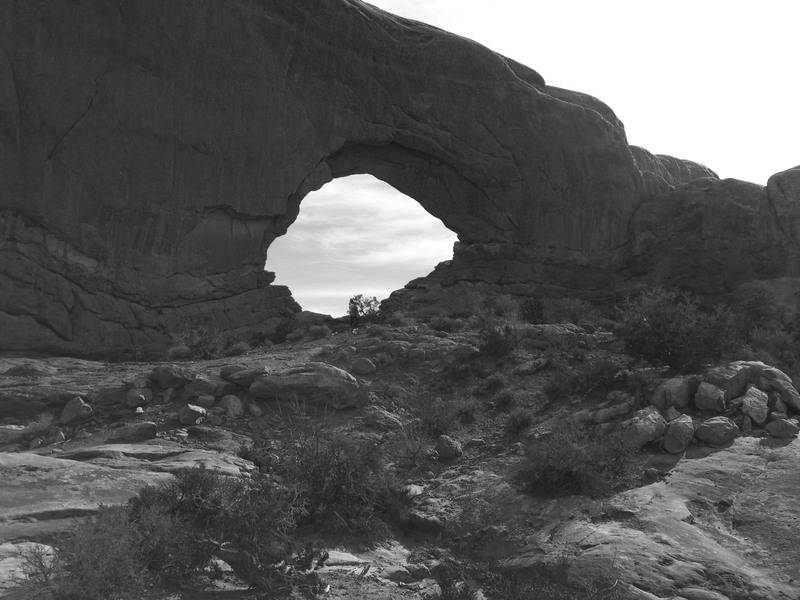 We’d seen shots of the arches before, but it’s nearly impossible to conceptualize the size of these formations through photography. The size, the color, the shadows, the eerie silence, the howling of the wind through the sandstone towers – unique sensory experiences tough to capture with words or images on this blog. Needless to say, we loved this park. We hiked all morning & afternoon, and wished we could have for a few more sunrises and sunsets.